In this review, I will look at the Spider V 60, but I will explain the main differences between the models as there are some features not available in the smaller models. The Spider V range is, not surprisingly, the 5th generation of Spider amps. I feel it’s important to briefly talk about the previous versions of the Spider before looking at the Spider V.
Any new amp Line 6 produce with the name ‘Spider’ will immediately receive a lot of ridicule from guitarists. When the Spider V was first announced, a lot of guitarists immediately dismissed it. The reason why Spider amps have become a bit of a running joke to some people in the guitar world is due to who the amps initially targetted. The first Spider amps were marketed as relatively low-cost modelling amps that would allow beginners and bedroom guitarists to access a range of different amp models and inbuilt effects. Line 6 were leading the way in modelling technology and the Spider amp range would allow guitarists who couldn’t afford the more expensive Line 6 products to start playing around with amp modelling and effects. The problem is that most beginners do not properly understand how to dial in a good tone when presented with a lot of different options. 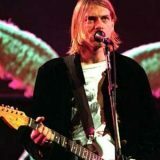 The end result was that a lot of guitarists would set the amp to the ‘Insane’ model which produced copious amounts of gain. Over a few years, Spider amps could be seen everywhere played by beginners and local bands. While it was possible to get decent tones out of the amps (I had a Spider 212 as a beginner), most guitarists didn’t know how to tune in a good tone and sounded horrible. Spider amps became the sign of crap tone and it has stuck ever since. This is important to understand because the Spider V immediately inherits the history and ridicule of amp modelling technology that is well over 10 years old. While the Spider V is filled with modern features and sounds, people still think back to the earlier Spider amps and assume that the new one will be rubbish. In my opinion, it was a huge mistake for Line 6 to name this new range of amps under the Spider branding. If they named it something completely different to Spider, guitarists would be far more open to giving it a chance. But as soon as they slapped the Spider name on it, they immediately turned a lot of people away. I’m going to review the Spider V as if it was a completely new range not under the Spider brand – because that’s what I feel Line 6 should have done. As I explained in my review of the Line 6 G10 Relay System, it feels so liberating to connect your guitar to an amp wirelessly. The 60-watt Spider V models and higher have an inbuilt wireless receiver. So if you want to go wireless, all you need to do is purchase the G10T wireless transmitter. The transmitter charges by plugging it into the amp’s input jack (as shown above). 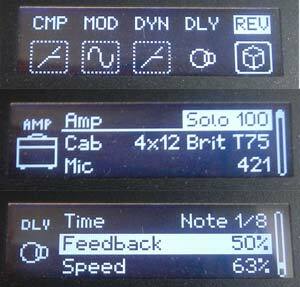 The LCD screen on the amp also indicates the battery strength and the signal strength which is really handy. I have yet to experience the transmitter lose power while playing long sessions and it charges really quickly. The disadvantage of this inbuilt wireless system is that it makes it difficult to incorporate effects pedals into your rig. The Spider V doesn’t have an effects loop so you can’t add pedals that way. The only way is if you connect your guitar to your pedals, then connect the wireless transmitter to the last pedal in the chain. This allows you to position your amp away from your pedals, but of course, it defeats the purpose of going wireless to begin with. So if you like the idea of going wireless, the Spider V is a good choice if you’re not interested in using stompboxes. If you’re happy to use the amp as your sole source of effects and tones, then it’s a perfect match. To connect to an Android device, you need a Type B USB to micro-B OTG cable (read this article on USB cables for more info). As I did not have one, I had to buy one before I could test my Android smartphone. The advantage of connecting via USB is that the response time should be much faster than Bluetooth. Instead of changing a setting and waiting a few seconds for Bluetooth to send the signal to update the amp, the Spider V updates immediately. This means you can quickly change between presets, models or settings instantly. The disadvantage is that your smartphone or tablet is tethered to the amp. This quickly became annoying. My guitar was connected to the amp wirelessly, which means I could position the amp anywhere and not need to worry about cables. Great right? Well, if I wanted to use the editor on a smartphone while playing, I had to either be close to the amp or have a really long USB cable. It was really disappointing to be tethered to an amp via USB cable while the amp allows the guitar to go wireless. It would have been perfect if the remote app used Bluetooth as I would have been completely detached from the amp. Connecting an iOS or Android device to the amp means you cannot use the editor on your mobile while the amp is connected to a PC/Mac. Yep, if you’re recording via USB you can’t use the editor to control your amp’s settings. Update (October 2017): Line 6 have finally released a PC/Mac editor so you can now control your amp settings via an editor while recording instead of using the amp’s controls. It really feels like the engineers who designed the Spider V didn’t test it out or they would have quickly noticed these annoying limitations. Line 6 have done a great job with higher range devices such as the Firehawk FX and the Helix, so it’s really disappointing to see poor choices end up in the Spider V.
If you have an iOS device, it requires iOS version 9.0 or higher (at time of writing) and a device with a Lightning connector. This means my aging iPad 2 wasn’t compatible (neither is iPad 3). Bummer. But the chances are you don’t have an old device like me so won’t have this issue. Android compatibility is a little tricky, because it requires a device that is ‘USB Host Mode’ compatible. The first time I heard the phrase was when my Samsung J3 didn’t recognize the amp. It turns out that some Android devices do not fully support ‘USB Host Mode’ and won’t work with the Spider V. You can check your Android device’s compatibility with Spider V by following the instructions here. So my iPad wasn’t compatible and my 2016 model smartphone wasn’t compatible. I had to borrow other people’s devices to test the editor out. Fortunately, when I got my hands on a device that was compatible, the app worked great. Instant updates from the editor to the amp meant I could quickly change and tweak settings without any delay. The app is well designed and very responsive. While I was waiting for my USB cable to arrive to use my smartphone ultimately wasn’t compatible, I learned how to edit and change presets using the amp itself. The small LCD screen provides little information, but that’s a good thing. Instead of having to dig deep into menus, it’s really easy to figure out what each control does. When the amp is set to AMP mode, the white lightning shows what each knob controls (eg: Drive, Bass, Mid, etc.). When in FX mode, different colored lights indicate the controls for each effects unit. When an effect is active, the light is brighter so you know immediately which FX are enabled. The color coding system used in the Spider V is the same coding used on the devices such as the Helix, M13 and Firehawk FX. It’s a great way to quickly identify what the different effects are. If you have an FBV foot controller, you can connect it and the same color coding will light up the footswitches. This is a fantastic way of turning effects on or off. 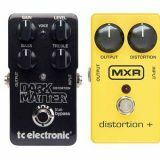 You don’t need to memorize the position of different effects like you need to on other pedals. You can see that the modulation effect in slot FX 1 is a ‘Sine Chorus’. The control knob at the center of the photo allows you to easily scroll through the settings for the effect and change them. 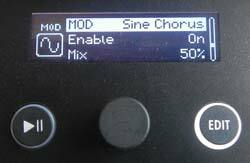 You can also easily change the effect model or even the type by simply selecting the MOD and pushing on the knob. On the right you can see a few screens to show how editing the amp settings is done. It’s quite easy to enable/disable effects (top), switch amp models or change the cab or mic model (middle), or edit effects parameters (bottom). Compared to other amps I find this quite easy to use and didn’t take as long as I thought it would to figure out. Of course, the Spider Remote App is far easier to use than the amp controls, but if you don’t have a compatible device it’s good to know that it’s pretty simple to edit presets using the amp. This is what most people will wonder for any new amp under the Spider name. Does it sound like trash as a lot of people are claiming or is it usable? I started off as everyone does by working through the presets. This gives you a rough idea of the range of tones available in an amp. Some of the presets sounded really good, while others were shockingly horrible. Many of the presets do a really poor job at showcasing the amp’s versatility. The worst preset I came across was a preset attempting to replicate Metallica’s Master of Puppets tone. Not only was it bad, it gave me serious ear fatigue within a minute of jamming with it. 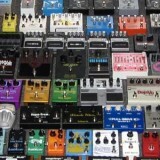 As I explain in my guide on Guitar Amp Settings, you shouldn’t take presets too seriously. The same amp settings will sound completely different across different amps. Likewise, the presets created for the Spider V may sound great on some guitars and poor on other guitars. So while I had mixed feelings about many of the presets, I knew that the best way to judge the amp’s sound was to start from scratch and see if I could build presets that I would use. After jamming around with the 78 amp models, I got a feeling for what amp models closely match my preferred style of tones. I could easily produce clean tones I really enjoyed. Crunchy tones took a bit more work but eventually I was really happy with the results. High gain tones took even more work as many of the amp models just didn’t sound right. The end results weren’t anywhere as good as the tones I get out of my HD500X (read my review of the HD500X here), but for a beginner they would be perfectly fine. After I managed to create some presets I was happy with, I plugged the amp to my PC, loaded my DAW and started jamming again. This is where the Spider V really shines. The tones produced when going direct to a DAW sound much better than coming out of the amp. In some ways, that’s great because it means you’re able to produce nice sounding recordings by going direct, but it also highlights the Spider V’s weakness – the amp’s speaker. I was really glad to see that drum loops were available as playing along with drum loops is a fantastic way for beginners to practice. What surprised me is that these are real recordings of drummers playing instead of typical sample-based loops. This means you get realistic sounding loops. The downside, is that you cannot adjust the tempo. You’re stuck with the tempo the loops were recorded at. This really reduces the practicality of the loops as you’re limited to the tempo recorded. Another disappointing design decision that could have been a fantastic feature. Fortunately, you can adjust the tempo of the inbuilt metronome, which is essential for it to be useful. Throughout this review, I’ve mentioned design choices I’ve disagreed with. When I usually talk about quality, I’m talking about build quality. The Spider V is a really sturdy build and I don’t see any potential issues. But the quality of the design is really disappointing. For example, the power switch is on the back of the amp (as shown earlier). Every time I want to turn the amp on, I need to fumble around the back to find the switch. Why was it placed there and not on the front panel like most practice amps? Setting aside these questionable design choices, the Spider V is a good quality amp for beginners and at-home guitarists. I have mixed feelings about the Spider V. While it has a number of fantastic features, there are some design choices that leave me scratching my head. I also feel that naming this range of amps under the Spider brand was a mistake due to the Spider’s history. The Spider V is an amp that would have been amazing if a few small details were changed. I can see the potential of this amp and it’s hard for me to praise it when there are so many minor issues that frustrate me. But overall I feel it’s an ideal amp for a beginner just getting started and wanting to learn about different effects and types of amps. Being able to instantly access a massive range of effects and tones really helps a beginner explore possibilities that aren’t possible with other ‘better’ amps. While I may sound a bit hard on the Spider V in this review, it is a good amp for a beginner. When I look back at the amps I had when I was a beginner, they don’t come anywhere close to the quality of what the Spider V produces. The amps I started on had zero flexibility in terms of tone and sounded like rubbish. If I had a Spider V when I started out, I would have been thrilled by the range of tones and effects as well as the features. So while the Spider V does have some problems with it’s features and design, it really is a good amp for somebody just getting started on guitar. 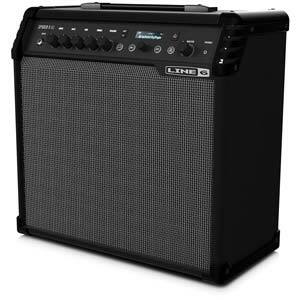 As a side note, I’m really not sure why Line 6 decided to include the 12-watt ‘classic’ in the Spider V range. I haven’t personally tried it, but from the watered-down features it looks like they simply took an older model and gave it a facelift. I don’t recommend the 15-watt version at all as it doesn’t give you any of the features that make the Spider V worth considering. If you’re after a small and cheap practice amp, there are better options. 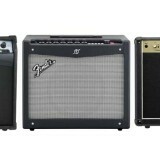 Check out the full range of Spider V amps here for price and details. Who is the Spider V for? Beginners on a budget: the Spider V is a great way to learn about different effects, creating different rigs and experimenting with different tones. It’s completely possible to get some great sounds out of this amp and learn a lot about tone and effects. Who isn’t the Spider V for? Anybody who isn’t a beginner: if you’re an intermediate or advanced guitarist, I’m not sure whether the Spider V will meet your needs. I would much rather recommend an AMPLIFi, Firehawk FX or Helix depending on what you’re looking for. 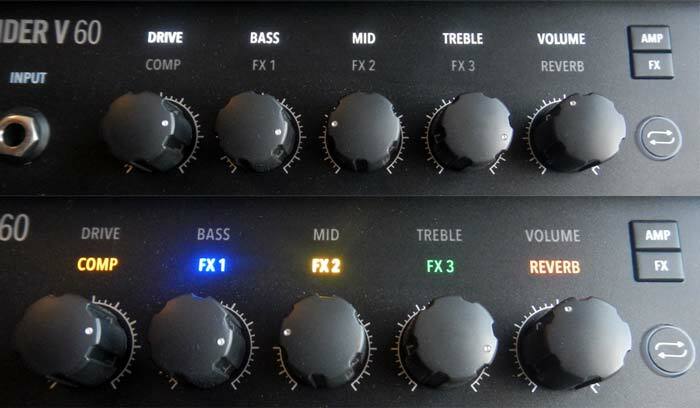 The reason is that the FBV 3 uses the same colored LED system as the amp so you’re able to instantly see what effects you can enable and disable in each preset without first needing to memorize the positions. It also allows you to use the expression pedal for wahs, pitch shifting or other effect control. The Spider V without the FBV 3 is still a good amp, but you’re missing out on a lot. It’s a shame the FBV 3 costs so much, but if you want to get the most out of the amp, it really should be considered. While the Spider V comes with a lot of presets covering a wide range of styles and effects, you’re going to be far better off learning how to create your own tones from scratch. Many of the factory presets are perfectly fine, while others need a lot of tweaking to get a decent sound. Learning how to set up your own tones, tweaking settings and using effects properly is covered in the Guitar Effects Course here. If you want to learn more about the effects available in the Spider V, this course will give you everything you need to get the most out of your amp. There are quite a few beginner combo amps with built-in effects today. The Blackstar ID:Core is a very popular beginner amp, although with far less effects and options. I also feel the Line 6 AMPLIFi 30 would be a good alternative due to the Bluetooth editor rather than USB. I wrote a post on why I think the AMPLIFi 30 is an ideal beginner amp here and while it is more expensive than the Spider V, it is a good idea to compare the two to see what suits you more. Some people may prefer the look and features of the AMPLIFi while others may prefer the Spider V.
A very good quality alternative to the Spider V is the Peavey Vypyr VIP 3. It’s also a modelling amp but also includes instrument modelling. It can accept input from an electric guitar, acoustic guitar or bass guitar and the amp will model appropriate instruments, amps and effects to suit that instrument. It’s a seriously good amp worth checking out. 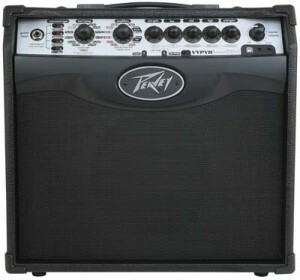 Find out more about it in my review of the Peavey Vypyr VIP 3 here. See information on pricing, availability and other reviews on the entire Spider V range here.